Welcome to Big Springs, Nebraska! South Platte Public Schools will provide quality educational opportunities for students and develop responsible citizens who will make positive contributions in a changing world. In the 1980s, the communities of Big Springs and Brule, Nebraska, began an educational sharing program. Initially, the purpose was to consolidate educational funds by combining the sports programs. By joining resources, it was possible to eliminate duplicate programs, making classes larger and more efficient. It soon became apparent that by merging into one district tax dollars could be spent more wisely. This program has proven to be a very sound method of combining both personnel and facilities for the benefit of both communities. Consolidation was completed in 1995. The present program has a total of 178 students in K-12 in Big Springs. The success of our students on achievement tests, has been tremendous. Currently classes are averaging above the 80th percentile. The outstanding results seen in these scores can be attributed to small class size, an excellent staff, and a varied curriculum. The classrooms are networked and provide Internet access. Outstanding drama and art departments provide students with many opportunities for achievement. The drama department has repeatedly placed first in district and state competitions. A well-rounded athletic program offers great opportunites in a variety of sports. The eight-man football team has gone to District playoffs for several years. Our students and athletes are known as the South Platte Blue Knights. South Platte is accredited K-12 by the North Central Association of Schools. For additional information, contact David Spencer of South Platte Public School, at 610 Plum Street, Big Springs, Nebraska; (308) 889-3622. The patrons of the South Platte School District will be asked to vote on a school bond issue in the May 13th election. The proposed bond issue is for $6.76 million. A community group was gathered to discuss the facility issues face by the school. Several of the issues were code compliance issues like fire safety and American with Disabilities Act (ADA), as well as building security, and the need for additional classroom space. After numerous hours of discussion, the group agreed on a proposal that they felt best addressed the needs of the school now and in the future and was the best use of taxpayer money. Public meetings are being held to inform patrons of the proposal and answer questions. As alumni, you know the importance of education and the value of small-town schools. For those who live in our community, we know the value of having a school in our community and the benefits that our local businesses and organizations receive from the families attending the school. Most importantly, the children in our community are the future, and we must invest in the future to ensure success. The Supportive Patrons of our Kids (SPK) Campaign greatly appreciates your support and your vote FOR the South Platte School on May 13th. 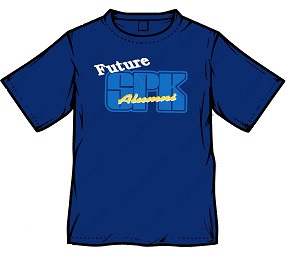 The South Platte Preschool will be selling South Platte Alumni and “Future” Alumni t-shirts during the month of May. Shirts will be available beginning May 1st from the following preschool contacts: Jennifer Blochowitz (308)874-4212, Britt Miller (308)778-7293, Lori Armstrong (308)289-4700, or Sheryl Marquez (308)889-3340. Contact them for details and look for their booth set up during the Memorial Day weekend festivities in Big Springs. Pre-orders will be taken prior to May 1st. 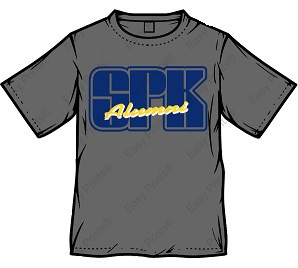 Prices are as follows: Adult (S-XL) $15, (2XL) $17, and Youth (XS-L) $12. Quantities and sizes will be limited after the May 1st pre-order deadline. All proceeds will go to benefit the South Platte Preschool. Your support is greatly appreciated!